Graduate students learn how to explain their research, so projects and careers aren’t lost in translation. 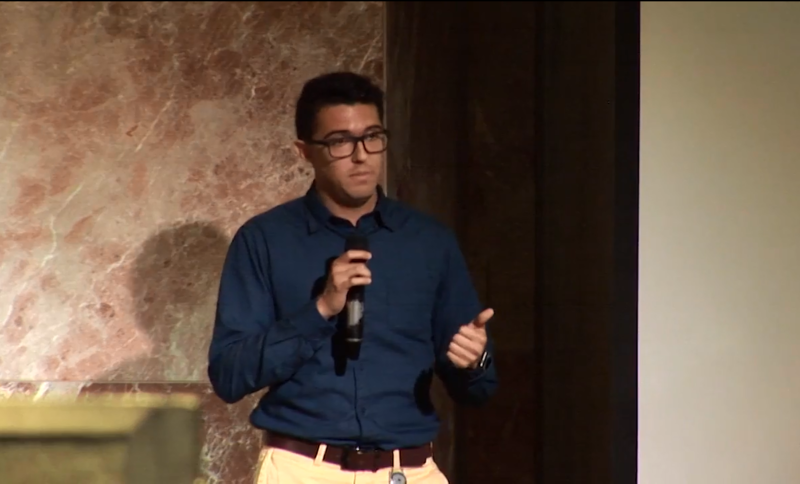 Given 180 seconds to explain his research in a live competition, Gabriel Martínez-Gálvez confessed to a boyhood obsession with superpowers and a grad-school obsession with the potential for enhanced abilities through genome engineering. 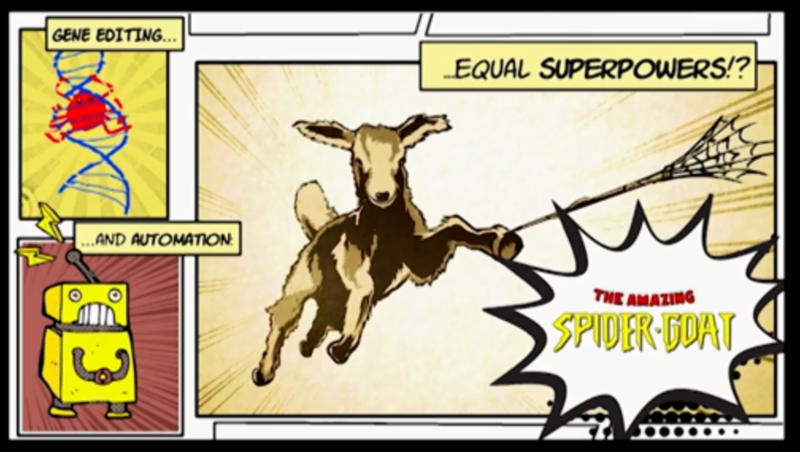 Then, he told the audience, the future has already arrived in … the amazing spider goat. 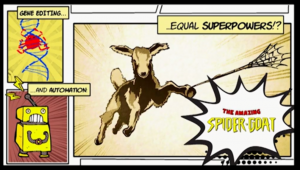 Genetically modified by the addition of a spider’s web-spinning gene, the spider goat actually produces milk containing an extra protein that can be extracted and spun into heavy-duty silk thread. 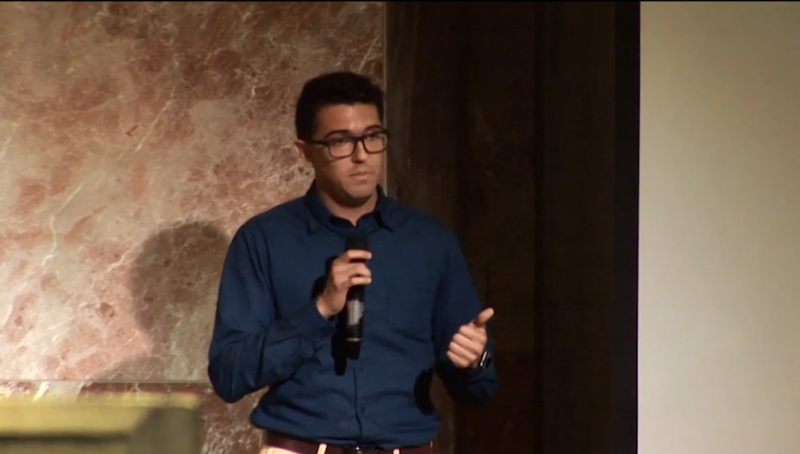 With a combination of humor, storytelling and simple explanations, Martínez-Gálvez won the school’s Three-Minute Thesis competition, which challenges grad students to provide a compelling description of their research in lay terms. 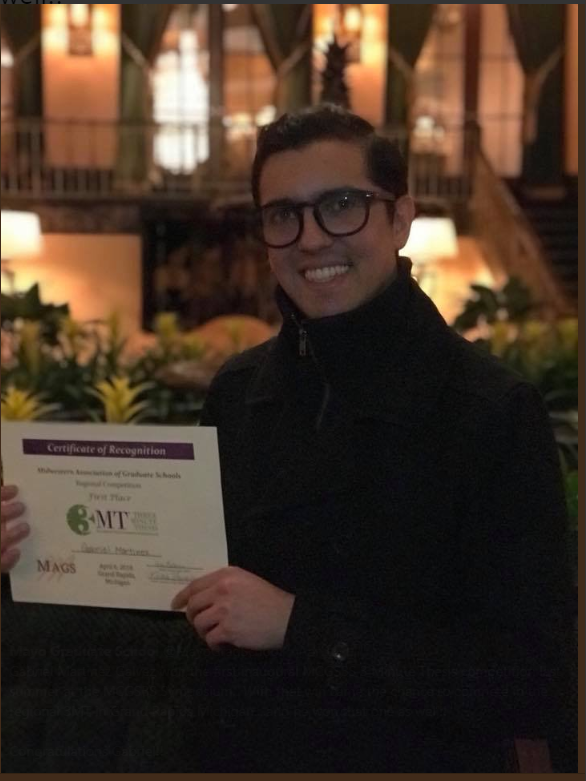 But Martínez-Gálvez, who earned a trip to Grand Rapids, Michigan, for the regional competition, believed in the value of communication skills long before his victory. The stereotypical scientist on TV and in blockbuster films can spew mumbo jumbo on a planet-threatening topic, causing other earthlings to stare blankly, then shift their attention to a mundane subject. In the real world, biomedical scientists can’t afford to be complex, unclear or boring. The stakes run high. Scientists who are able to make others understand and care about their research receive grants, form collaborations, publish articles, speak at conferences, provide expert opinions on regulatory issues, and repeat the cycle. The rest face a stunted career. As a Ph.D. candidate in biochemistry, Hedin wrote no research articles and gave just one oral presentation: Defending her thesis on her last day of grad school. Opportunities to polish writing and speaking skills come early and often at Mayo Clinic Graduate School of Biomedical Sciences. 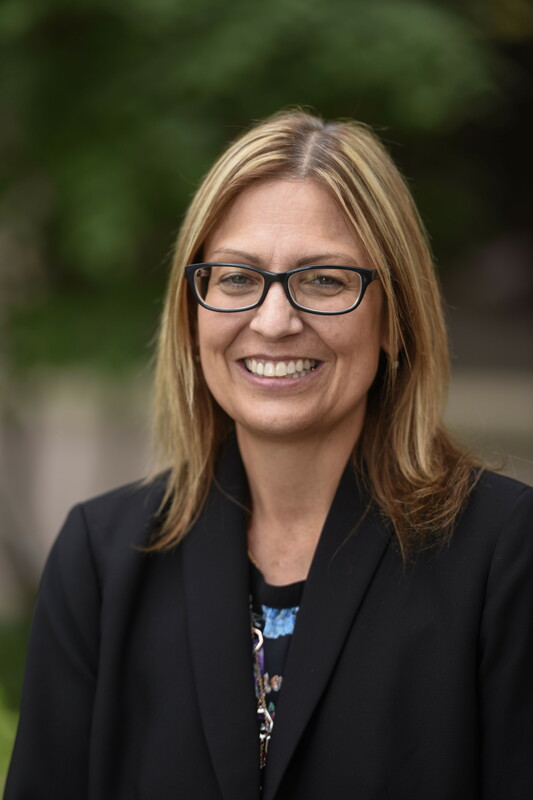 To graduate, all Ph.D. students must publish at least one research paper in a mainstream scientific journal, which ensures that their research is “both novel and important enough to be published,” Dr. Hedin says. Many Mayo Ph.D. students graduate as an author of multiple scientific papers, she says. 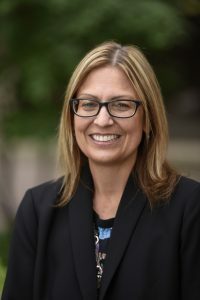 While all top graduate schools provide communication training through a variety of activities, Dr. Hedin says Mayo’s hands-on writing course for first-year students is unique. Since 2010, students in Critical Thinking & Writing have been learning how to write a grant proposal for a research project worthy of funding by the National Institutes of Health (NIH). As part of the course, students develop a six- to 12-page mock proposal for an NIH research grant, based on their own work in the lab. In small groups, faculty and students ask questions and critique each proposal at various stages. Dr. Hedin says it’s an eye-opening experience for most students. It exposes them to research in other Ph.D. tracks, emphasizes the need to write clearly so students in other disciplines can understand, and introduces rigorous scientific process with experiments designed to fill gaps in existing knowledge and prove or disprove a hypothesis. The school’s Initiative for Maximizing Student Development (IMSD), an NIH-funded program, provides additional writing and presentation training. Although designed as enrichment curriculum for students from groups underrepresented in biomedical research, the weekly workshops are open to all students in their first two years of graduate school. Three of the five finalists in the school’s Three-Minute Thesis competition, including Martínez-Gálvez, who is from Colombia, were bilingual Latinos. And more communication training appears to make a difference. At the 14-state Midwestern Association of Graduate Schools regional Three-Minute Thesis that claim was put to the test. Students from 36 graduate schools competed in April 2018, Martínez-Gálvez among them. Comparing genetic information to a Microsoft Word document, Martínez-Gálvez explained that he wants to prevent genetic typos that increase the chance of disease when modifying organisms. To develop a more accurate and dependable “keyboard” for gene editing, he programmed a computer to read gene editing data, learn from it, and identify the underlying reasons behind genetic typos. By automating the processing of massive amounts of data, he hopes to speed engineering of a keyboard that can predict and auto-correct genetic typos. 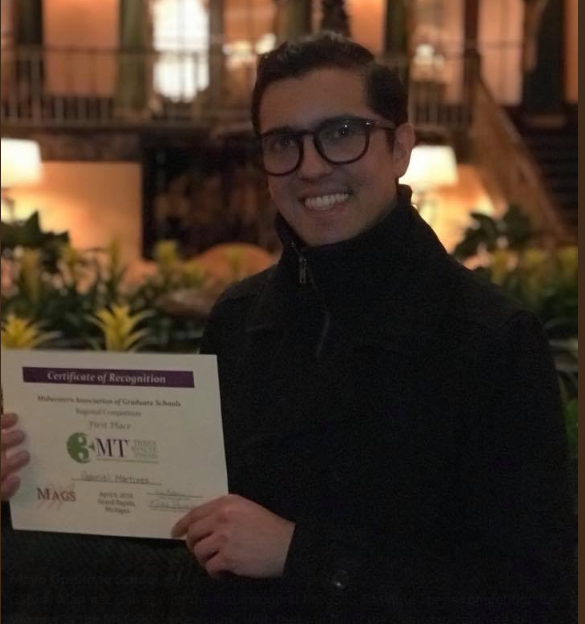 After two rounds of presentations, the judges named the winner: Martínez-Gálvez, who says the victory inspired him to complete his research more quickly and pursue a career that takes advantage of his ability to captivate an audience.